Estela García-López is a pastoral musician, composer and event presenter. In both her career and her ministry, she is committed to enriching the liturgy—in both English and Spanish—through music. In both her career and her ministry, Estela is committed to enriching the liturgy—in both English and Spanish—through music. She offers workshops focused on music preparation for Spanish-speaking cantors and choirs. OCP Institute Let's Sing to the Lord! Inspired by sounds, memories and traditions since childhood, Estela and Rodolfo's debut album exudes their passion for evangelizing and challenging Hispanic communities to make a difference. 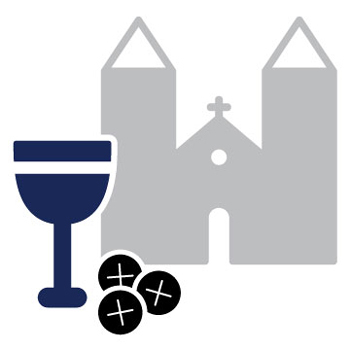 Draw your parishioners deeper into the liturgy or find strength for your daily journey through Scripture-based songs—seasoned with a blend of contemporary and Latin styles. Treat your senses to arrangements varying from delicate acoustic guitar and strings to edgy electric guitar and booming rock drums. "Our goal was to make each song unique and packed with emotion to touch the mind and soul," said Estela and Rodolfo. "If people find comfort and joy in our music, then we feel that we've done God's work." Popular in wedding ceremonies across the U.S., "Te Seguiré" and "Juntos para Toda la Vida" have finally found a home as recordings! "Vamos, Vamos" features the Spanish children's choir at Estela and Rodolfo's very own Ascension Parish in Portland, Oregon. "Cristo, Sáname" has helped unite numerous multicultural assemblies, appearing bilingually in Sal de la Tierra and trilingually in Chon Ngài. Now, hear this beloved song completely in Spanish for the very first time! Closing the album, the title track paints a stunning vision of dark versus light. "The lack of God's presence in our lives, and in the world at large, is the darkness," said Estela and Rodolfo. "We, as God's people, must work to eliminate it by bringing the light of God to those surrounded by this darkness." Groups of all ages and ethnicities—Hispanic and non-Hispanic—will find a connection to this moving collection. Dedicated to all the faithful that believe in Christ and fight for God's truth, Brille Tu Luz empowers us to take up the mission that God has planned for each of us and share it with the people who need it the most. Along with the eight songs, the CD also offers the bonus rap track and Spanish-only recordings for Misa Santa Cecilia, their bilingual Mass setting. This is the keyboard/choral songbook for Misa Santa Cecilia, a new bilingual Mass setting by Estela García-López & Rodolfo López. With over 20 years of experience working in bilingual parishes just like yours, Estela and Rodolfo have composed a versatile setting you can use with confidence. Enjoy the flexibility of performing Misa Santa Cecilia completely in Spanish, English or both! The arrangement features lively syncopated rhythms, especially for guitar—the main instrument for Hispanic choirs. Whether your Spanish-speaking assembly is growing or already established, Misa Santa Cecilia will help your entire community feel God's presence as they come together in worship. This is the choral/guitar accompaniment book for Misa Santa Cecilia, a new bilingual Mass setting by Estela García-López & Rodolfo López. Estela and Rodolfo's debut album exudes their passion for evangelizing and challenging Hispanic communities to make a difference. 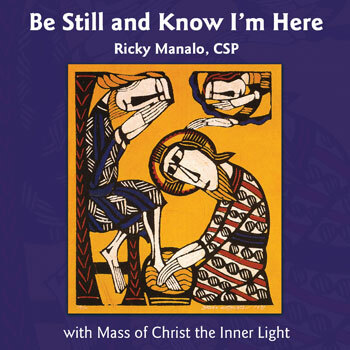 Draw your parishioners deeper into the liturgy or find strength for your daily journey through Scripture-based songs—seasoned with a blend of contemporary and Latin styles. Bring these stunning songs to life with the Brille Tu Luz guitar songbook! This guitar songbook provides guitar and voicing (varying from unison and two-part to three-part and SAB), along with helpful composer notes from Estela and Rodolfo for each of the eight songs. This is the guitar/unison accompaniment book for Misa Santa Cecilia, a new bilingual Mass setting by Estela García-López & Rodolfo López. This is the keyboard/unison accompaniment book for Misa Santa Cecilia, a new bilingual Mass setting by Estela García-López & Rodolfo López. 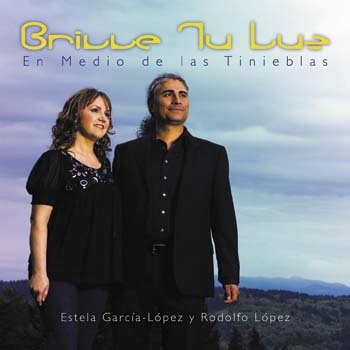 This is the MP3 playlist for the CD Brille Tu Luz. With compelling and inspiring lyrics, the eight contemporary Spanish songs on this MP3 album feature musical styles that include reggaeton, ballad, rock and more. Please note: the MP3 album does not contain the Spanish recordings of Misa Santa Cecilia. Enjoy the flexibility of performing Misa Santa Cecilia completely in Spanish! The arrangement features lively syncopated rhythms, especially for guitar—the main instrument for Hispanic choirs. This is the MP3 playlist for Misa Santa Cecilia, a new bilingual Mass setting by Estela García-López & Rodolfo López. Estela García-López is a pastoral musician, composer and event presenter. She has worked in various bilingual parishes in Southern California and Oregon as a music director, choir director, cantor and chorister. She earned a bachelor of arts degree in music with an emphasis in voice from California State University, Los Angeles. Her beautiful alto voice is heard on many recordings published by OCP. Estela’s debut collection, Brille Tu Luz, created in collaboration with her husband, Rodolfo, exudes their passion for evangelizing and challenging Hispanic communities to make a difference. The 12 Scripture-based songs feature a blend of contemporary and Latin styles. The two also collaborated on Misa Santa Cecilia/Mass of Saint Cecilia, the popular bilingual Mass setting used by multicultural parishes around the US and featured in Flor y Canto, tercera edición and the Unidos en Cristo/United in Christ missal. 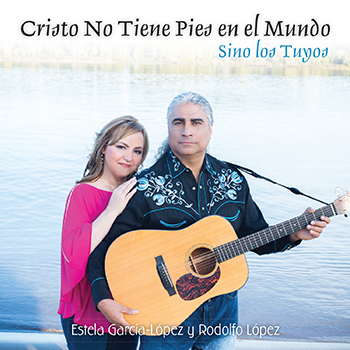 Their most recent collection, Cristo No Tiene Pies en el Mundo, offers an eclectic mix of eight songs that encourage us to live as examples of Christ's love. 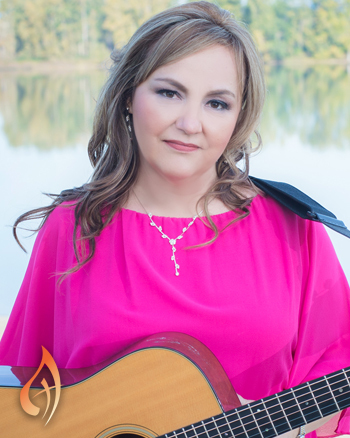 Her songs can be found in Spanish contemporary compilation albums Bendito, Bendito, with songs for praise and worship and Entre Tus Manos, with songs for comfort and healing. 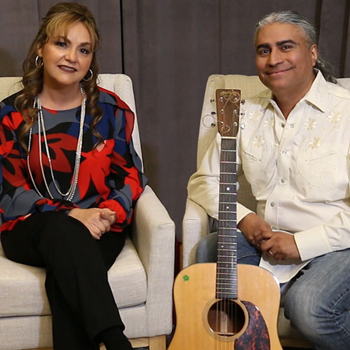 Both, Estela and Rodolfo, composed "Rise Up!/¡Levántate!," the bilingual theme song for the 2018 Los Angeles Religious Education Congress. Currently she works as music development specialist at OCP and leads the choir at Ascension Catholic Church in Portland, Oregon. She lives in Portland with her husband and their two children.